Now that FCA isn't worried about survival, it can focus on some of the things that matter most when it comes to keeping buyers. Muscle cars from the 1960s and 70s always seem like enticing things to have in the garage for the weekend cruise. At least that’s the case up until the point that the weekend actually comes around and the novelty of drum brakes, ancient steering racks, and awkward cabin ergonomics wears off after a few hours. Modern cars have spoiled us, being designed correctly (for the most part) and possessing the capability to easily pass the 100,000-mile mark without making friends with the tow truck driver. While Fiat Chrysler’s cars do a good job of meeting these modern requirements, FCA’s head of quality, Scott Garberding, felt the need to tell his employer was trying its best to improve reliability. It doesn’t exactly come as a surprise that FCA needs help in this department. The auto giant’s subsidiaries of Consumer Reports’ and . And then, back in 2015, FCA for failing to fix faulty parts that, left alone, could cause life-threatening accidents. According to Garberding, poor quality is a relic left over from the time when FCA was on its deathbed and focusing on staying alive rather than churning out the best cars possible. While the most recent quality rankings have yet to show it, Garberding thinks things are much better now. "Today we're in a far better place than where we were seven years ago, when very few people were betting we would make it," said Garberding. One of the newest models FCA focused on when improving quality was the Chrysler Pacifica. Upon its completion, it was one of the first FCA vehicles to pass “unprecedented” quality inspections. The manifestation of FCA’s work may be physical, but it all began with a cultural revolution within the factory walls. A new emphasis on communication between management and assembly line workers was required as well as a new ear tuned towards customer input. 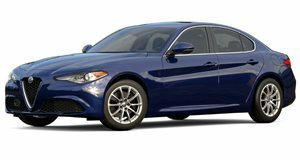 Whether or not FCA will use this philosophy to improve on its existing models or focus solely on cars still in the pipeline is unclear, but we hope the Giulia gets a by these enlightened factory workers before we give in to our inner voices and go buy one. Chevy Hopes People Will Buy This Fake "Pocket Rocket"
Love at first sight is possible. Of course she's Italian. Forget rehab. You wouldn't want to go anyway.